These possible bigfoot track were found in Maine a few days ago. These pictures were sent to us by a person who wants to remain anonymous, so we will just call him Jim. His real name is on record and we are following up on his report. "I'm staying in Maine about a mile from the Sunday River ski resort. The property I'm staying at is on the edge of dense woods that go back about 75 yards to a river then the other side of the river is a mountain. I was wondering along the river with my dad when we came across what seemed to be a game trail. 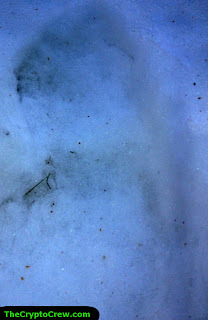 We saw what we believed to be beer tracks along with deer or possibly a moose. We then came across tracks that I can not explain I took 17 photos of the tracks and would love to share them. 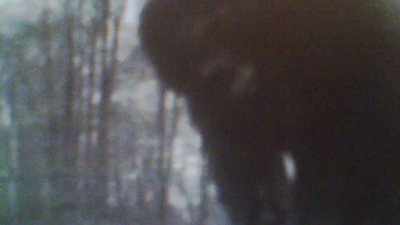 I could only think of one explanation and that would be bigfoot." "13 or 14 inches, I can not say that the pics are clearly of bigfoot tracks but I just do not believe they are of boots because of the shape. 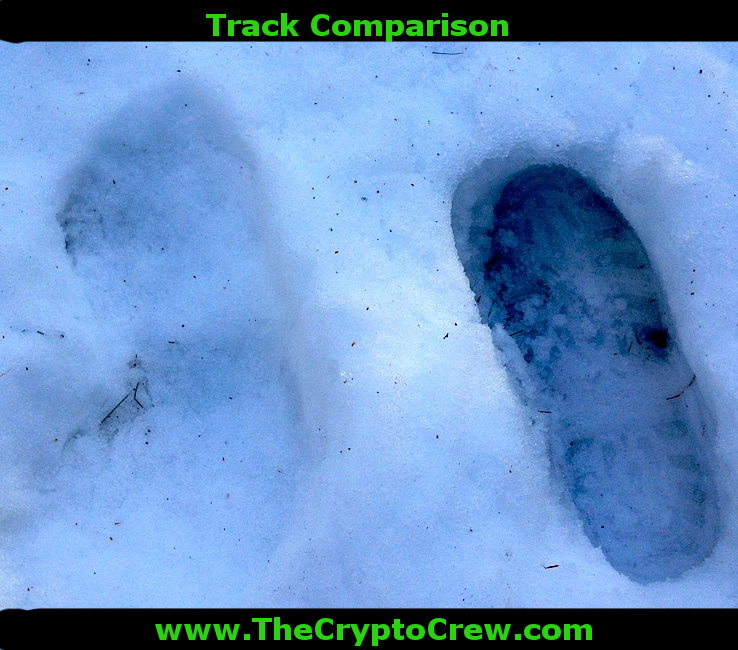 For comparison I took pics of my own boot tracks and their shape. I wear a size 13 boot, and have some large winter boots. They seem to still be smaller in width and length of the prints. I also found that loading the pics onto a computer and playing with the photo contrast brought out more features of the prints." We can agree with Jim about the shape of the tracks, they don't seem to have the same appearance as a boot. We are continuing to investigate this new report and hope to have more information soon. Thanks to Jim for contacting us and sending in the photos.